According to Dr. Plachtyna, a dentist should always be pushing themselves to do more, whether that involves helping patients or learning about the latest advancements in dentistry. That’s why he takes the time to listen to his patients that most other dentists won’t and dedicates dozens of hours to continuing education every year. With him, you can always trust that you’re receiving the very best that dentistry has to offer. To learn more about how Dr. Plachtyna became who he is today, read on below. Dr. Plachtyna has been in private practice with New Haven Dental Group since 1984. He received his bachelor’s degree in biology from Merrimack College and his DDS from Northwestern University Dental School. He is a Fellow in the Academy of General Dentistry and a candidate for the Mastership level. The Academy promotes continuing education in all areas of general dentistry. 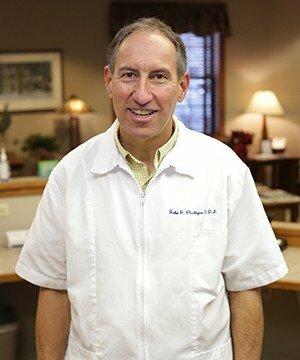 To date, Dr. Plachtyna has invested more than 1,100 hours in continuing education to provide his patients' with excellent dental care. Dr. Plachtyna has taught at the Yale-New Haven Hospital Residency Program as an adjunct faculty member. He is currently on leave from this position. He is a member of the New Haven Dental Association, Connecticut State Dental Association, and the American Dental Association.